The music’s rocking, the lights are flashing and my thighs are screaming… but I’m still smiling. 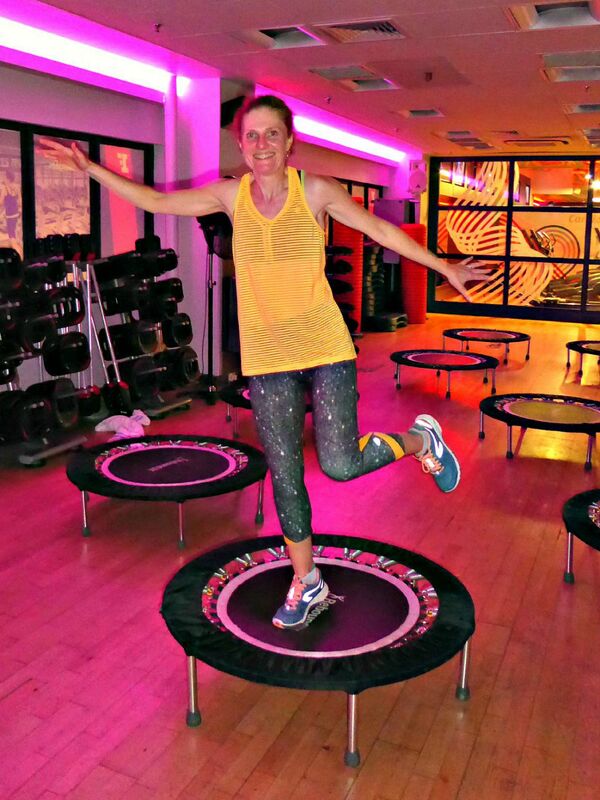 I’m at a Rebounce class – a dance / rebounder / serious cardio workout where the exercise all revolves around a mini trampoline (aka rebounder). It’s a far cry from the sedate trampoline lessons of my childhood, when we were taken through a polite series of controlled moves in a brightly-lit gym. Here the lights are low, the music is loud and it’s a whole lot more fun. 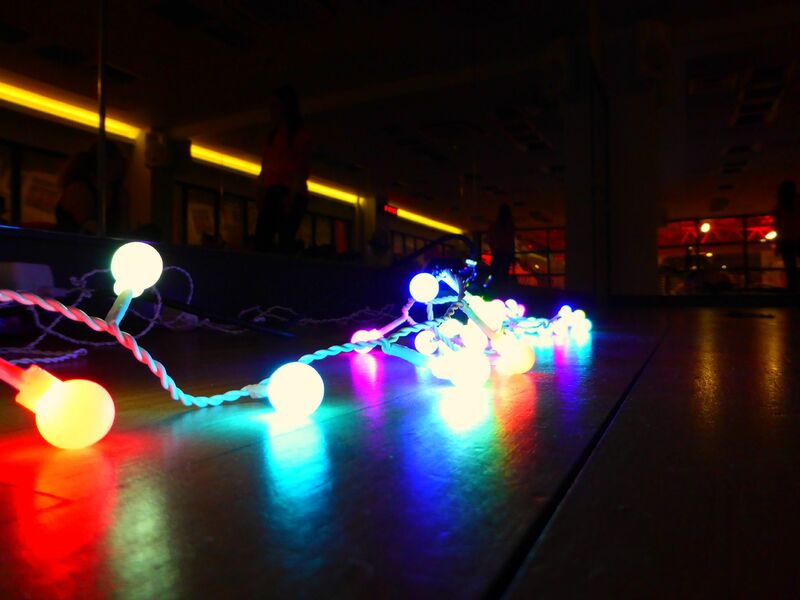 Rebounce has a definite club vibe, from the brightly coloured lights to the banging tunes. Although our teacher, Missie, is giving us instructions through her headset, I can’t hear much of them so I just follow her moves – or try to. Having started the class with a warm-up and a vigorous 160-sit-up routine, we move on to the dance routines. Just as I think I’ve mastered one, we move on to another and I’m lost again, legs and arms flailing out of sync. But nobody minds. Freestyle is just fine and regulars soon pick up the moves. Rebounce is fast, furious and fun. You do need a bit of coordination and a degree of fitness – although you’re encouraged to go at your own pace and stop if it gets too much, it’s aimed at people with a basic level of cardio fitness. 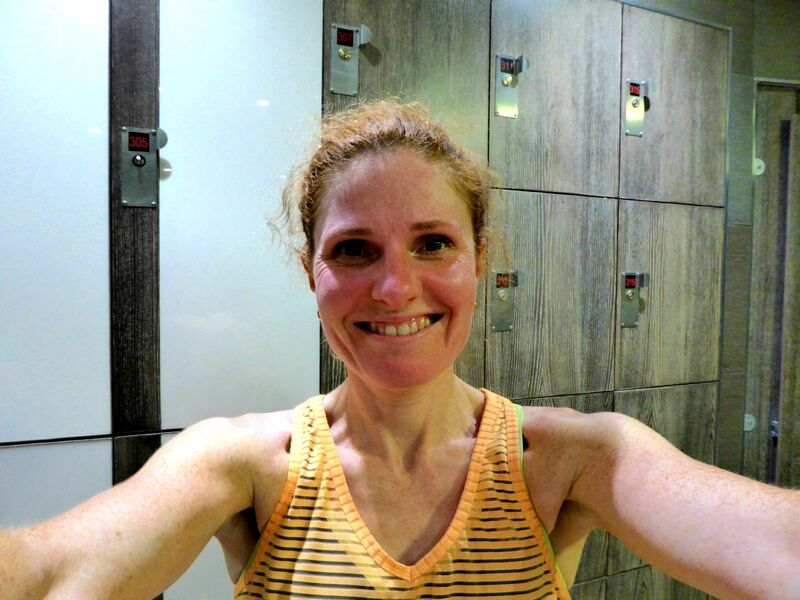 I’m pretty fit at the moment and got a serious sweat on.